Marie Sambilay: Hello, On Being listeners. This is Marie Sambilay, one of the producers here at On Being Studios, and I’m back with another installment of “Living the Questions.” American news has been really difficult to watch these last couple of weeks as we’ve followed the proceedings around Dr. Christine Blasey Ford and her allegations against Judge Brett Kavanaugh. It’s bringing forth a lot of pain, anger, and frustration in so many of us. This is something Krista really heard this from you, so she stepped into the studio last week to share what’s been on her mind right now: About how real conversation might help us at a time like this — and how real conversation is a relationship that goes deeper than just talking. Ms. Sambilay: It’s been really painful for us to witness this very intimate anguish that so many women, so many people share be surfaced in such an unfortunately political and public way. Of course, Twitter is not an ideal venue for nuanced reflection and conversation on a topic like this. Tell us what you mean, Krista, when you talk about engaging in conversation and entering into relationship with people in this way. What does conversation in a context like this look like? And what can it do? 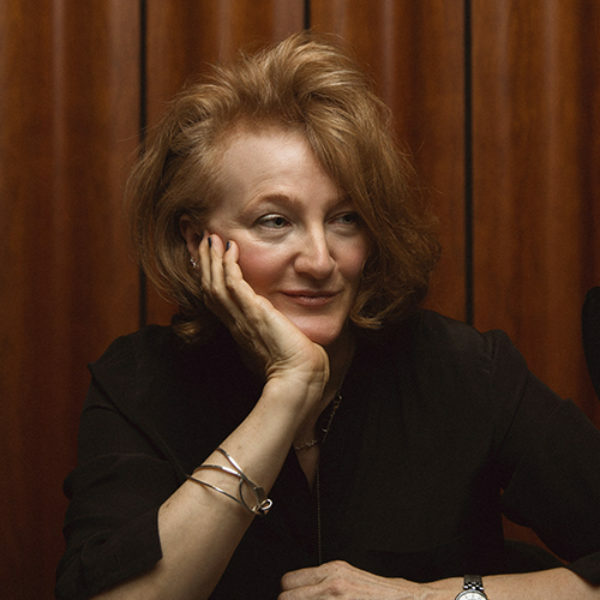 Krista Tippett: We did a few of these earlier this year, and we want to start making it a habit. This is the first time I feel really nervous. I feel anxious in my stomach talking about this. But I think we’ve got this horrible, churned-up place in our middle as a nation right now, and I found that spectacle of the hearings really dismaying in a way that I haven’t, actually, let a lot — I’ve tried not to be the person who doesn’t get dismayed by everything these last couple of years. And I think it’s partly because of something that you just touched on: that there are these huge reckonings we have to have, and these big conversations. And yes, I will explain what I mean by “conversation” because I don’t just mean talking. But there are these things we have to learn to reckon with and find words for and create the right spaces for. We also have to come up with the questions we need to be asking ourselves and each other so we do this right. What I’ve found so painful and, in some ways, I feel, destructive to the work to be done was that — the Senate hearings for a Supreme Court nominee were such an imperfect and flawed canvas and setting for this important work that we have to do, these important things we need to learn to say, these important parts of ourselves, of our history, that we need to bring into the light, this aspiration and longing that we have. And I believe this is shared, right to left, among a much vaster group of us than you might imagine, this longing and aspiration to do this and to wander into this territory and to get it right — and to get it right for our kids, if nothing else. I’ve also been thinking about how it was also an imperfect venue because there were so many layers of things going on: There is the trauma that we’re now experiencing, and so many people, so many women ended up projecting their trauma or seeing it reflected, in that testimony. So there’s our reckoning with gender relationships and sexual abuse and boundaries, all together. Then there was this whole other layer where we saw the dysfunction of our political system and of our Congress and, in the microcosm of that committee, so broken; the viciousness, the animosity; what felt like the total breakdown in respect or an ability to communicate on that committee, for which this just became a lens. Also, there’s just this new way we are learning as a culture, in a new generation, to talk about things in public that we never talked about in public before. Again, this is an especially intimate and difficult and painful place for us to go with that, but it really is very new, culturally, that we even talk about something like sexuality in any way or something like gender or something like trauma or memory or emotional health — or even bro culture. And I don’t just mean that in terms of gender. I mean in terms of us thinking about what kind of humans we’re raising in a new way and trying to let that be something we can talk about in our most official spaces. So all these layers are happening that end up not doing justice to, I think, any of them. There are a couple of things in your question and in what came back from the tweet that do feel really essential to define. One of them is this question about the nature of conversation. The point of speaking together differently is learning to live together differently. I’m not interested in talking for talking’s sake, ever. And yet, [laughs] our capacity as humans — in fact, our compulsion as humans to share space with each other, to put words, which are very often inadequate — but to struggle to put words around our deepest thoughts and our deepest longings and our most difficult subjects — to do that with each other; with strangers; with those closest to us. It’s not necessarily easier to do with those closest to us than it is with perfect strangers. That’s the root of what is happening in conversation that is at the core of what it means to be human. It’s also the core of how we grow. It’s at the core of how we form and build relationship, and sustain relationship that can not just survive, but even deepen at these inflection points where we have to look back at how we’ve been and decide we want to do better. A long time ago, I interviewed Anthony Appiah, who in the meantime has become an ethicist columnist for The New York Times. He’s a philosopher, and he has studied, how moral change happens across history and across cultures. Of course, this is a subject I’m really interested in, in general: over long periods of time, how foot-binding was ended in China; how slavery stopped being a fundament of the British empire; how dueling stopped being an honorable way for gentlemen, including our politicians, to resolve debates. One of the things he offered me that has been a gift of that conversation I’ve carried forward ever since is the original meaning of the word “conversation.” It is not just about words passing between mouths and ears. It’s about shared life. I’ve been thinking, ever since: Listening is about bringing our lives into conversation. That’s what I mean when I say conversation. I mean something much bigger than talk. We also can all think to the most important conversations we’ve had in our lives, the hardest, the ones that were turning points — they have a lot of silence in them; they have trust in them, which often has had to be earned before that conversation was possible. When I’m talking about creating a better conversation, I’m thinking about the entire complex of what goes into that. Right now we have work to do to create the spaces and the trust to even have the kinds of conversations I’m talking about. The work is bigger. A conversation begins before any words are spoken. The tone is set. What is possible is framed. So that’s what I think of, also, when I think of conversation. I think of the fact that conversation done well strengthens relationship, and we certainly need relationship. Also — I’m just gonna elaborate on this — a good conversation has good questions in it. It has really searching questions in it. It has genuine curiosity. There was no genuine curiosity, very little genuine curiosity, on display in that hearing last week. There was posturing. We’ve all been trained to posture. We have to learn something different if what we want is to understand each other, to be in relationship with each other. The other piece of this that feels important to define is, what is the middle, and is there a middle, and is it lame in a moment like this, where the stakes are so high, to fall back on something like “the middle”? Here, again, I think we have to totally examine our imagination, what we mean when we use that word, what that thing is. A couple of things feel really important to me in that. One is that something we know from brain science is that we tend to think of the other side, when things get polarized, whatever that other side is — we tend to associate everybody on that side of the line, which presumably is in the middle, if a middle exists — with the most extreme voices and exemplars, the most offensive, the people who we see who are loudest, who are most visible, and with whom we know absolutely what we disagree on, and it may feel irreconcilable. But that’s not fair. It’s not true to reality. And I understand and honor all the emotion that has been floating around in our midst last week. I understand when people said, “Are you saying we should be in conversation with predators and rapists?” No, that’s not what I was saying. I think that this reckoning we have to do includes a lot of people who may come at this from a different perspective, may be carrying some different questions. So again, there’s a lot of room where we have to just listen and understand in order to walk into a shared future — but who are not predators and rapists. And I don’t think the idea of the center is actually very interesting to me because I really like to talk to people who have deep convictions. I think that our deep convictions and our sense of truth and the robust way we wrestle with things and claim our identities — this is our gift to each other. I sometimes think about the vast middle. I think we have let every important subject be framed by those loudest, most visible — sometimes that means they’re the most powerful; sometimes it means they’re the best self-publicized; sometimes it’s about the way we tell the news, which is about talking about the worst things that happened. We have let our most important and most intimate and most tender discussions be framed by those voices. And we have to take the reckoning, the shared aspirations, the shared questions if not shared answers, the shared love for our children and sense that I think a lot of us way across this line share that this is not the world we want them to see or be growing up in. We have to take back this vast middle, which is the heart of our life together. And it’s much bigger than the center. I am there. And it’s a place where we carry our questions alongside our answers, and we carry some curiosity alongside our convictions. I think if we could create some better spaces for conversation, just people starting where they are, and model that that is an interesting place, a robust place; that that, in fact, is the heart of our life together; that we can start doing the hard work, even if the Senate committee can’t, then we start to build out a much more interesting and vital place that is the middle, the heart of our life together. I think the other piece of this that is something that is always important to me is thinking about history and how change happens. Again, to come back to what I said a minute ago about Anthony Appiah. All of the important social change and moral change that we can see — certainly the civil rights movement, anything you could name — the question, is there a middle ground between slavery and abolition, maybe “middle ground” is not the right word, but what there is between the time that a way we’ve been living is revealed to be horrendous, that the practices that were not just condoned, but moral — that our eyes are opened to the fact that it is repugnant and that we must live differently. In every case when that happens in history, there are some people who see it first, and there’s a long period of gestation. 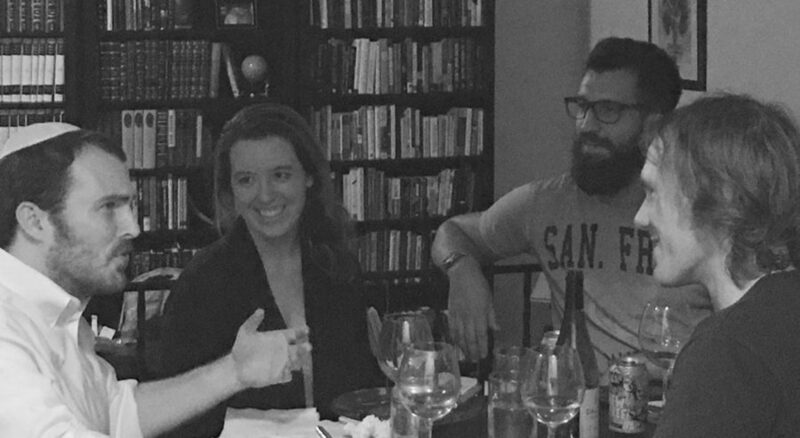 Movements do come along and uproot structures, but there’s critical mass, and then there’s this period of what John Paul Lederach, our friend, calls “critical yeast,” where small groups of people in an unlikely quality of relationship start to create new possibilities, and then that becomes infectious. It always takes longer than it should, but it can start in some places immediately. That middle ground of where those of us who feel compelled to, yes, fight what needs to be fought; yes, protect those who need protection; but also start to create those completely new ways of living — generative realities, which is going to include a whole different way to talk to each other and listen to each other and build relationship over time — we begin, and that is always the connective tissue between that way of being that we want to overcome and that world that we want to inhabit and pass on to our children. Ms. Sambilay: I think what so many people find difficult about this notion of this kind of conversation and kind of engagement is that, for so many of us, our only exposure to people on “the other side,” or people with whom we have very deep disagreements is what we see on network television. It’s always the loudest, most aggressive voices. For so many of us, it’s difficult to imagine finding someone with whom we could enter into this relationship of trust and questioning together. I’m just wondering if you have any words for those of us listening who do want to enter into this commitment — where could we look or start to make those baby steps toward building that trust and building those relationships? Ms. Tippett: That’s such an important question because the way things get divided up — and I’m so sick of everybody using the word “bubble,” but the bubbles — it means that it’s not only that we don’t come into contact with people, but we start to not be able to imagine. We can’t even imagine how we could get into the room with the people who are vexing us. One of the things I feel about this is that we are blinded by that and that, in fact, the way of breaking out of that is actually to get very analog and close to home because the truth is that everybody I know has some family member who they have tried, and often failed, to have this iconic conversation we’re trying to have nationally. This is not rocket science, but because of the bubbles and because of the ways we’ve been dividing things up, it does require some kind of looking up, looking out, making some effort, making some outreach. It’s kind of the six degrees of separation thing: We have a lot of really ordinary intelligence in our lives about this. There are family members who are different. An irony, and this could be its own conversation, is that families can be absolutely the hardest place, the place you should not try to begin this. However, I’ve wondered if we could swap those family members; I take your brother-in-law, and you take mine. [laughs] I also just think there are plenty of ways, very close to home. We all do, if we just give this a little bit of thought — you know the parents of one of your children’s friends who you know belong to the other party. Or you know the columnist in your local newspaper who writes things that — 80 percent of it you disagree with, but you think, “This is a smart person,” and 20 percent of what they write is really interesting, and it’s thought-provoking in a way that feels good. I think also something people get caught, stuck, and caught up in, is thinking that if they’re not bringing that most inflammatory person on the other side into the conversation, then it’s not going to make a difference. And that’s not right. In fact, I wouldn’t recommend inviting those most inflammatory people because then you’re just gonna recreate the dynamic, this rut that we’re in. But if what we’re trying to do is build out that vast middle, the heart of our life together, to be something different, you don’t go for those people. You go for somebody who’s different, but reasonable. We can all, just by looking around in our world, by asking people we know for suggestions, we can find those people. We can invite them.